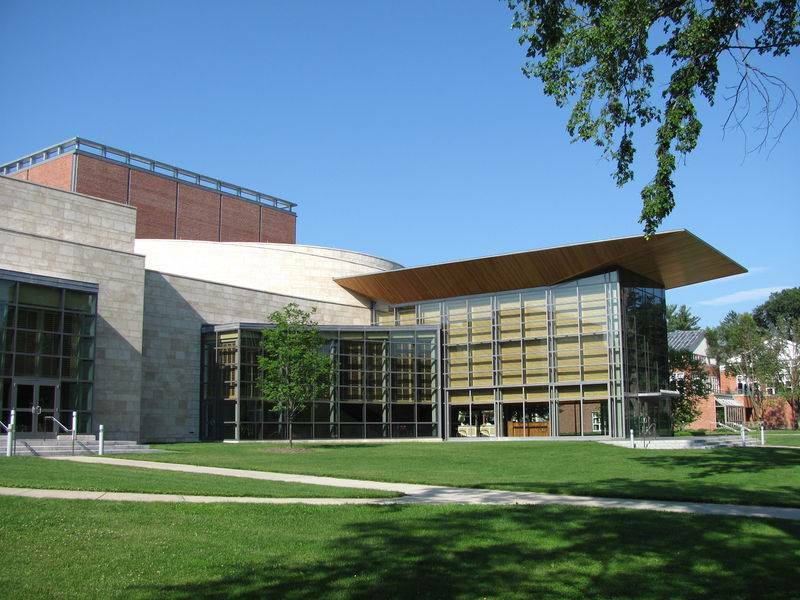 The Williamstown Theatre Festival 2013 season runs from June 26 – August 18, 2013 in Williamstown, MA. The Main Stage schedule features the World Premiere of Bridges of Madison County, a new musical by Jason Robert Brown and Marsha Norman; a revival of Animal Crackers; and George Bernard Shaw’s Pygmalion, directed by Nicholas Martin. Scheduled for WTF’s Nikos Stage are Tom Stoppard’s Hapgood; the World Premiere of Bess Wohl’s American Hero, and the new musical Johnny Baseball by Richard Dresser (book), Robert Reale (music) and Willie Reale (lyrics). 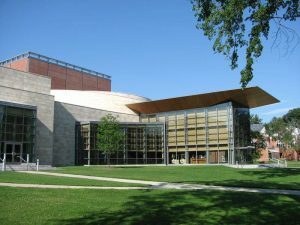 The season will also see the return of many Williamstown veterans including Kate Burton in Hapgood, and Robert Sean Leonard in Pygmalion, plus first-time Festival directors Bartlett Sher, and Leigh Silverman. Each year, WTF also presents a free outdoor production for family audiences at Poker Flats Fields, including Dracula, written by Bram Stoker and adapted by Steve Lawson, running July 10 – 19, 2013. The last Nikos Stage production and additional casting for all 2013 WTF shows will be announced at a later date. Hooray for Captain Spaulding! The intrepid African explorer, inveterate womanizer, and interminable jokester hobnobs with high society as the guest of honor at a swanky soiree. But when a priceless painting is pilfered, he and the guests are swept up in a screwball search for the thief. This new interpretation of the Marx Brothers’ hit Broadway musical and classic film overflows with mirthful melodies, dynamite dancing, and seriously silly slapstick. “You have no idea how frightfully interesting it is to take a human being and change her into a quite different human being.” With all the parallels of a modern reality-show makeover, an impoverished flower seller is taken in hand by a linguistics professor who attempts to change her accent and pass her off as the epitome of English society. For a wager. A sharp satire on class and women’s independence, Shaw’s century-old masterpiece features Robert Sean Leonard as Henry Higgins in an uproarious, poignant, and unforgettable battle of wits between two of theatre’s most iconic characters. Leonard (“House,” Dead Poets Society) last appeared at the Festival in Dead End, directed by former WTF Artistic Director Nicholas Martin (She Stoops to Conquer, Our Town) who returns to Williamstown to helm Pygmalion. In 1992, a rural American romance by an unknown author became a literary phenomenon. Millions of readers have been captivated by the simple story of Francesca, a beautiful Italian woman who marries an American soldier to flee war-ravaged Italy. Her new life in Iowa is common until she encounters Robert, a loner and artist, whose photography at National Geographic shields him from commitment and connection. Their three days of flirtation, memories of Naples, food, and laughter inspire a timeless love, and an impossible choice. Lushly transforming the best-selling novel into an intimate musical work for the stage, Marsha Norman and Jason Robert Brown have added new resonance to a lyrical portrait of true love, loss, sacrifice, and devotion. Tony Award-winner Bartlett Sher (South Pacific, The Light in the Piazza) directs, making his WTF debut. Three ounces of meat. Two ounces of cheese. Four ounces of lettuce. Seventeen-year-old Sheri and her co-workers at a new submarine sandwich franchise have honed their skills making everything from the Turkey Torpedo to the Big Kahuna Tuna exactly as specified in the corporate manual. But when the franchise owner mysteriously disappears, they are forced to improvise, and Sheri takes charge of the ragtag band of “sandwich artists.” See just how far they’ll go to keep their shop afloat in Bess Wohl’s hilarious, surreal tale of the struggle for optimism in tough times, the power of sandwiches, and the glorious, messy American Dream. Wohl’s Touch(ed) received a 2011 World Premiere at Williamstown; this marks Leigh Silverman’s (Chinglish) WTF debut. Treacherous twins and double (or triple?) agents abound in a twisty-turny look at the unlikely interrelation of quantum physics and international espionage. Simultaneously channeling John le Carré, Albert Einstein, and Mel Brooks, Tom Stoppard’s Cold-War thriller boasts equal shares of brains, guts, and sly humor. WTF mainstay Kate Burton takes on the tour-de-force title role, the brilliant but eccentric British intelligence chief working to expose a Soviet double agent while attempting to keep her personal life under wraps. Burton returns to WTF after a five-year hiatus, having appeared in the Festival’s Beyond Therapy, The Corn Is Green, Hedda Gabler, and more. The infamous Curse of the Boston Red Sox is brought to life through the changing fortunes of three orphaned souls: Johnny O’Brien, a hard-luck right-hander on the 1919 Sox; his idol, Babe Ruth; and Daisy Wyatt, a dazzling African-American blues singer and the love of Johnny’s life. The mystical intertwining of their fates reveals both the source of the Curse and the secret to its triumphant end off Big Papi’s bat in 2004. Packing a resonant commentary on social history into a quintessentially American musical, Johnny Baseball will bring cheers and tears to baseball fans and theatre lovers alike. The fourth production on the Nikos Stage, which will run from August 7 – 18, 2013, is to be announced. Williamstown Theatre Festival contact info.